How to completely remove a team member from the team? What is Team Management Feature? How to add a team member? Difference between Content Creator and Content Manager role in team management? How to change role of a team member? How to revoke team member's access from a social account? 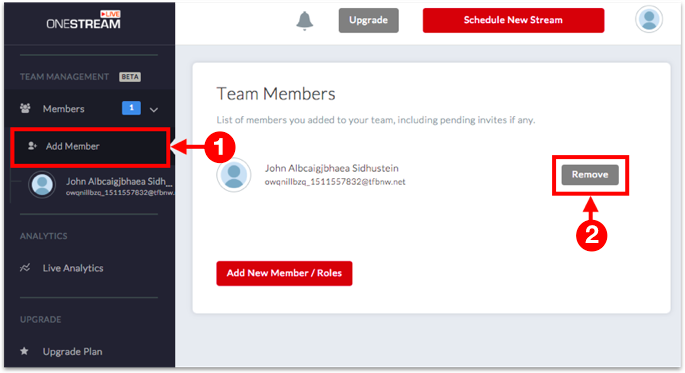 Click Add Member under Team Management to view your team members. Click Remove next to the team members&apos;s name you want to remove.